Best Grand Canyon Video Locations You Have to Visit! Photography is an incredible tool. It allows us to capture important events, share these experiences with others and forever immortalize significant occasions. It?s like pushing a save button on our memories. However, photography, in many cases nowadays, can be a great detractor from the overall experience if handled incorrectly. Living behind a lens will never live up to living in the moment. We?ve all been guilty of toting around our personal cameras, sticking them out in the air at any and every imagined photo op and snapping blindly, hoping that perhaps one will turn out, or that we?ll at least capture a ?for the record shot.? Our advice to you is to go ahead and take incredible pictures and videos; capture the beauty of the Grand Canyon, the excitement of the rapids, the serenity of the campfires. Just remember to take even more time to live in the moment. Put your camera away, sit back and take in the ?now.? If you?re going to take pictures try to really capture the moment, rather than snapping ?for the record.? Good picture taking is an art. Anyone can point and shoot, but it only takes a small amount of extra effort to be able to capture an inspiring, timeless photo. When you?re ready to take a shot, think about what about it inspired you to pull out your camera in the first place. Was it the way the morning sunlight glints off the red rocky canyon walls? Feel that, see it in your lens, then snap. Do you see a California Condor flying over the Colorado, wing tips glazing the water?s glassy surface? Snap it as you see it. Was it the excitement and anticipation in your companion?s eyes upon spotting an imminent rapid? Rather than having him turn to pose for you, capture the moment as your mind?s eye sees it. ?Be ready? is the photographer?s motto. This means many things. First, Choose the right equipment and know your equipment in and out. 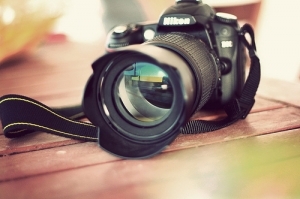 Test your camera and practice taking good shots outdoors before you leave home. Second, bring extra memory cards and batteries. Surprise, surprise ? there?s no electronics store down in the Grand Canyon. Finally, make sure your camera is secure, but have it handy. Moments don?t wait and attempting to recreate moments makes for visibly fake and posed pictures. Or find a waterproof camera case that?s made specifically for your model camera.